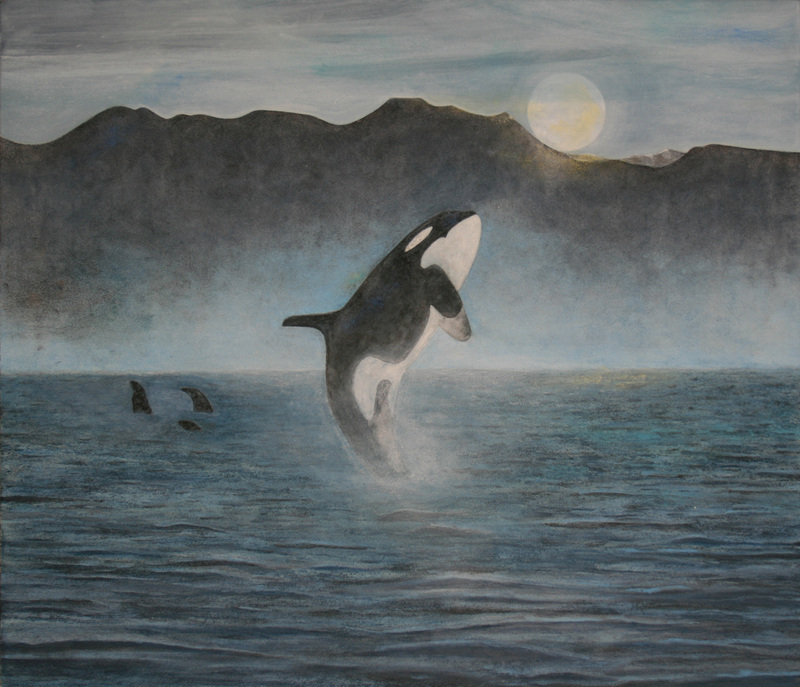 Tatum Wulff is an extraordinarily talented artist now residing in Vancouver, British Columbia. 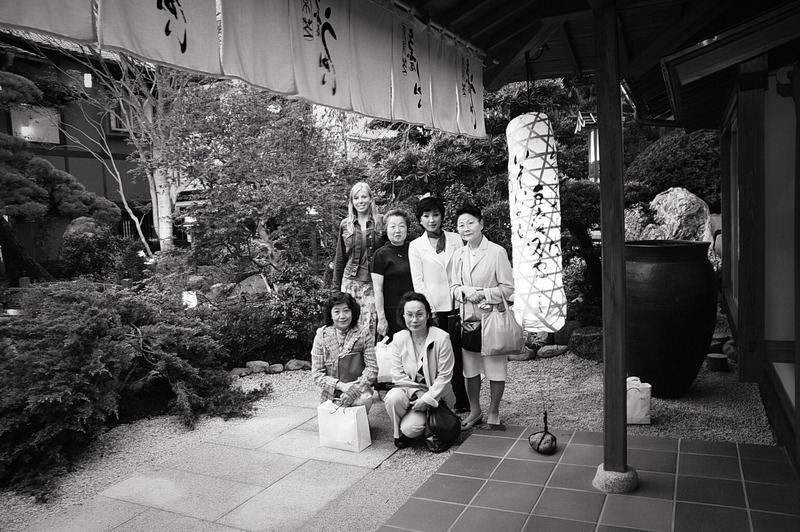 In this guest post, Tatum shares with us her time in Japan where she was an apprentice of notable Nihonga artist, Atsuko Miwa. I instantly fell in love with the unique qualities of the Japanese pigments. The application process was initially challenging but with patience and repeated practice, I felt I had fortuitously stumbled across a medium I could explore for a lifetime. I had already lived in Japan for 3 years before having a very fortunate chance meeting with a professional Nihonga artist who soon became my art mentor. 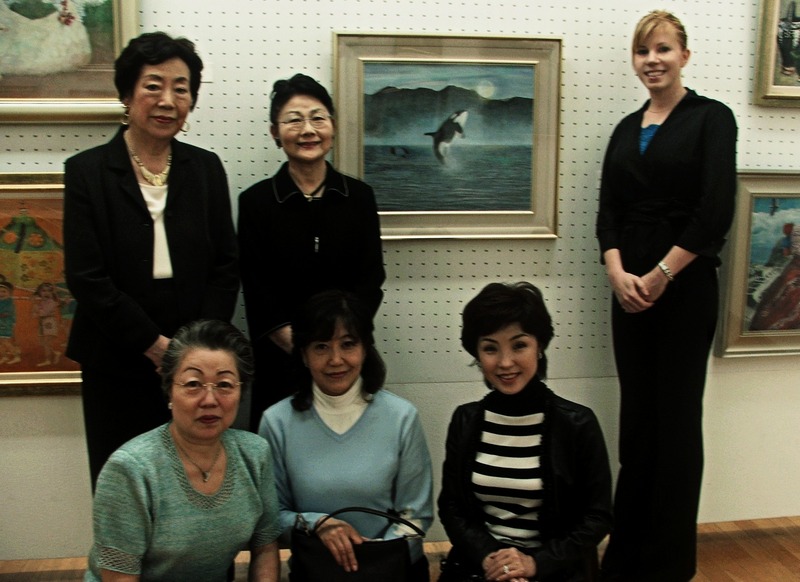 Atsuko Miwa, an active member and judge of the highest ranking artistic organization in Japan, the Nitten, invited me to attend her art classes after I professed to her my long standing dream of studying art professionally. While initially modeling for a series of her paintings in 1998, I explained to her how much I had always wanted to pursue painting. She generously invited me to attend her art classes held in Tokyo. Through her lessons, I explored new techniques in art, some of which contradicted what I had learned in the West. I was greatly intrigued to practice these new methods, as they broke all the boundaries of what I had formally been taught. I was fascinated to have discovered such unique pigments, derived from semi precious stones and other natural sources like oyster shells, tree moss and vibrantly colored insects. Some examples of the methods or techniques I learned which were contrary to those I had been taught in the West could be examined in shadowing and perspective. She discouraged me from applying and emphasizing shadowing to my artworks, as she explained that by doing so, one is adding the past to the work rather than painting only what exists in the here and now. Also, typically in the West, we are taught to appreciate artworks with deep or great perspective, but with Japanese painting, creating a flat surface is considered esthetically beautiful. Additionally, rather than creating strong contrasts between objects in the foreground and background, she encouraged a blending of the two. These are just a few examples of new methods of application, that greatly challenged and influenced how I paint today. I felt these distinct methods or qualities mirrored some aspects of Zen philosophy, in regards to acknowledging and focusing one’s attention on the present moment. Also, by painting with continuity and creating a harmonious and blended unison throughout the painting, I realized I was not only learning about painting, but also gaining a deeper understanding of Japanese culture. One can dissect cultural nuances, patterns, thinking and behavior through studying the structure of that culture’s language. By practicing a traditional, ancient Japanese craft, I came to understand I could also learn about Japanese culture through practicing Nihonga. Generally, I feel people in Japan find fulfillment through nurturing and responding to the interconnectedness within society, while in the West, we generally pursue personal fulfillment through individualism. I felt the methods of application my art teacher showed me for Nihonga, reflected some aspects of Japan’s appreciation and understanding of life’s interconnectedness. Rather than learning about oneself through division and comparison, empathy and selflessness are well fostered characteristics in Japan. I feel they are a peaceful society, with great character, high moral and true integrity. It was a very fortunate and deeply enriching experience for me to study a craft over 1000 years old, from such a renowned teacher, in one the most modern cities in the world. My journey into Nihonga really gained momentum after my teacher offered me the auspicious opportunity to assist her with her annual Nitten paintings. I believe I learned more about art and Nihonga through assisting her than I ever could have dreamed otherwise. The complicated nature of Iwa Enogu, or Japanese pigments, can only be learned through direct application, patience and plenty of trial and error. It is a craft I feel deeply honored to have studied. My teacher’s trust and encouragement in my ability propelled me to quell any personal apprehensions and pursue my long standing dream of practicing art, using a medium so distinct from any I had ever encountered before. Learning the intricate nature of the pigments and various techniques handed down by my teacher, Nihonga became my whole life while in living in Japan. I regularly met with my mentor and assisted her as often as possible. After completing my first Nihonga painting, she encouraged me to submit my work to a juried art exhibit at the Setagaya Art Musuem in Tokyo, Japan. My painting, Sunflowers, was accepted for exhibit in 2003, which was a fantastic honor, as I felt I still had a great deal to learn about this ancient art form. 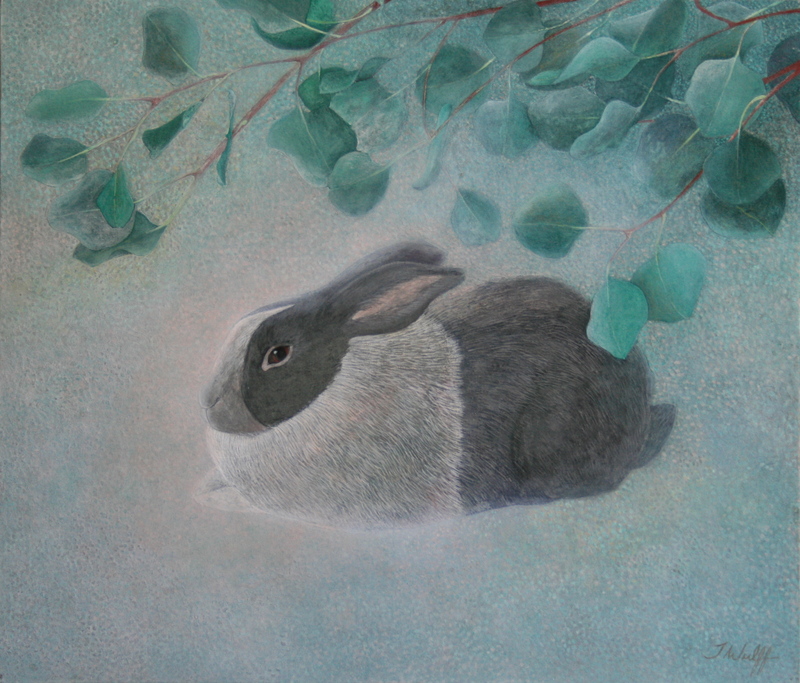 By 2006, one of my Nihonga paintings, entitled ‘Enchanting Night’, received a Silver Award from the Setagaya Art Museum. 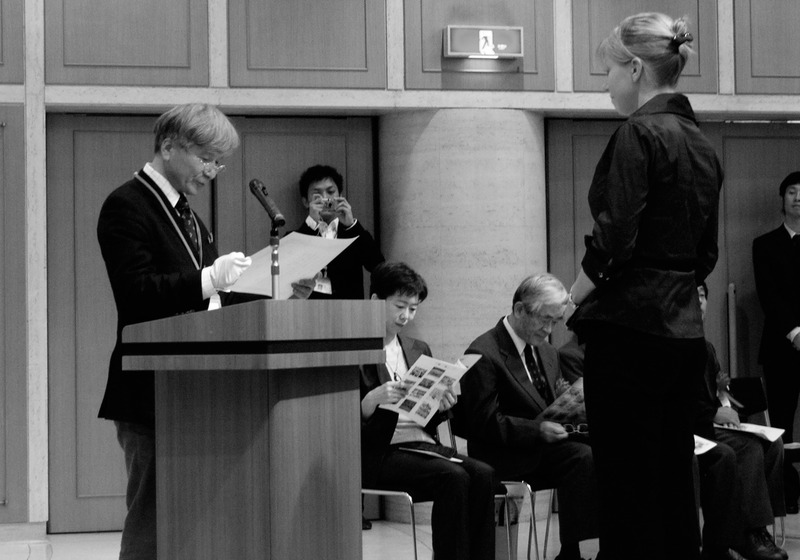 It was a tremendous honor and experience to have one of my Nihonga paintings recognized by that museum. As a Westerner, I feel greatly honored my teacher had taken me under her wing, and shared her time and knowledge with me. My teacher’s mentor was a very influential and nationally renowned Nihonga artist in Japan, Takayama Tatsuo (1931 -2007). I had never imagined that I would be studying under such a highly esteemed lineage of artists. I am eternally grateful to have had the prodigious fortune of not only discovering this beautiful art form, but especially to have learned it from such an important figure in the Nihonga art world. Although I felt incredibly fortunate to finally be realizing my dream of pursuing art professionally, I was faced with certain challenges during that time. The more immersed I became in the Japanese art world, the more my concerns grew over how I would reintegrate myself into Western culture again. The time I spent in Tokyo with my mentor came at a cost of time spent away from my family and friends in Canada. They have always been very supportive and encouraging of my endeavors, but there did come a time when I felt I had to decide where my home base would be. Her large scale Nihonga paintings typically range in size from 120 inches (or 10 feet) in height and width. 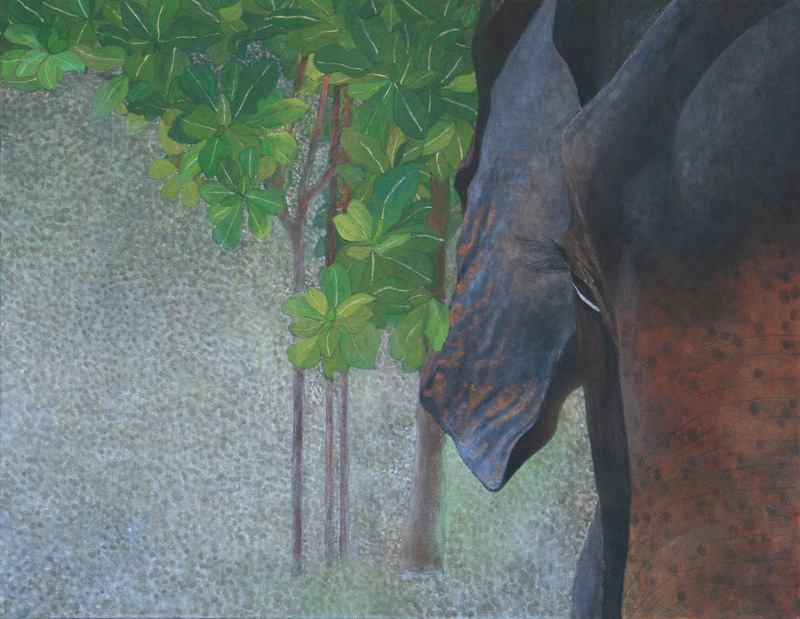 Each painting demands a tremendous amount of work and takes months to prepare for. Through assisting my teacher over the years with her Nitten paintings, I have gained a tremendous amount of knowledge that I try to apply to my own work today. I hope to combine the unique techniques and traditional methods she has generously handed down to me, with an individual approach. 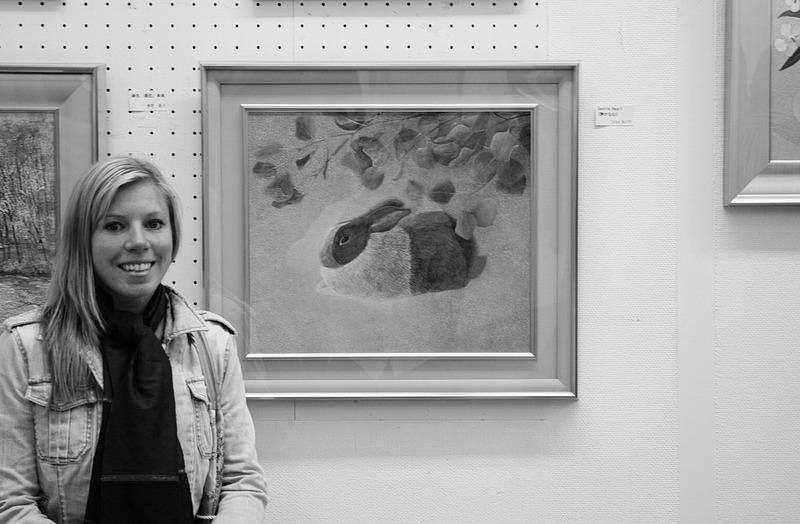 Till now, I have painted still life and animal paintings. As my teacher specializes in portraits, I also hope to cross the bridge into this subject in the near future. As I hold a deep reverence of nature, I have found the work of Higashiyama Kaii incredibly inspiring as well, and would love to also create a body of work encompassing that. This entry was posted in Artist Feature and tagged japanese painting, Nihonga, Non-Japanese nihonga artists, Tatum Wulff, 日本画. Wow amazing story! It’s really making me consider flying to Japan to learn Nihonga under a master. Very authentic it seems, plus it’ll be easy since I have family there! Hi Julian! Thank you for your kind response! I apologize for my extremely late reply, I had not seen comments left on the article till now. I wonder if you ended up flying to Japan to study Nihonga. Wishing you the best, and thanks again for your feedback! Hi , I wish you well with your painting. I can see what your’e doing and the way you’ve documented the process is really good. I could say a lot more about your paintings which I admire greatly but I’m particularly appealed to by the coastal hills and the touches on the skyline near the moon in the Enchanting Night. I’m sure Vincent would have loved your sunflowers as well. Hi Paul. Thank you very much for your lovely feedback and wonderful compliment. I apologize for the extremely late reply, I didn’t realize comments had been left on the article! Many thanks!